Celebrate with the KidsGrow Contest! "What does your garden grow?" For Kids Garden Month 2019, we’re encouraging kids to share what grows in their garden! From beans to zinnias, love to cooperation, or food for a hungry friend; kid gardeners, we want to know what grows in your garden! Gardeners age 0-18: Send a photo, drawing, video, or other creative medium (really, the sky's the limit!) to KidsGardening telling us what grows in your garden, whether it is tangible or intangible. Entries can be submitted by individuals, or by a class or group. Each week we’ll choose a favorite entry to receive a prize package, and at the end of the month we’ll award two grand prize winners – one to an individual and one to a group or class. Teachers, caregivers, and parents: Kids have a powerful and meaningful impact on their community. The KidsGrow contest is about acknowledging the garden as a springboard for creative expression, community engagement, and a tool for empowering kids to realize their impact on their families, school, and community. And, whether they realize it or not, gardening has a tremendously positive impact on kids themselves! More than anything, gardening grows kids who care about the natural world, their peers, and where their food comes from. Submitting an entry via social media, email, or mail gives KidsGardening.org permission to use the entry in the future. We welcome entries from around the world, but only U.S. entries will be considered for prizes. The Kids Garden Month 2019 contest is open from April 1 - April 30, 2019. All group and individual entries will be eligible for the grand prizes. KidsGardening judges will choose two grand prize winners: one individual and one group or class. 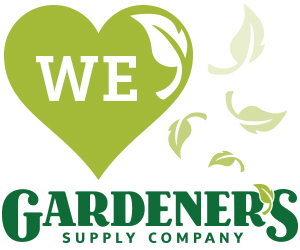 Grand prizes winners will receive all the fun gear as weekly winners, PLUS a $250 gift card from our friends at Gardener's Supply Company! Grand prize winners will be announced 5/15. Winners are at the sole discretion of KidsGardening. Congratulations to our Weekly Winners! This is a flower at my house that's growing by the creek. I enjoy looking at the flowers and it was fun to draw. I was inspired by our school garden. We have onions and carrots growing. We also have a bucket of potatoes growing. When I watered the plants and I thought about how the water flows over the plants...see the water hose and water. I was inspired by our field of flowers at my house. Outside of our gate, there is a whole field of bluebonnets. Just 1 root can let the world fly! This is a picture of our garden. I was inspired by my dad because he is making a garden. Special needs students created word clouds of garden words! YOU can give the gift of gardening and change a child's life. This April, as a special bonus for Kids GardenMonth, two generous donors have offered to MATCH each donation to KidsGardening every day in April! If you have benefited from our original content, NOW is the time to donate because your gift will go twice as far! Sign up for our monthly newsletter to receive our latest garden activities, lesson plans, grant announcements, and tips for your school or home garden with kids.